We have over 40 years experience in supplying and fitting quality garage doors throughout the Bristol and surrounding areas in the South West of England such as Gloucester, Cheltenham, Stroud, Clevedon, Portishead and Nailsea. We also offer a dedicated same day garage door repairs service and can supply a comprehensive range of spares for doors by all leading manufacturers. 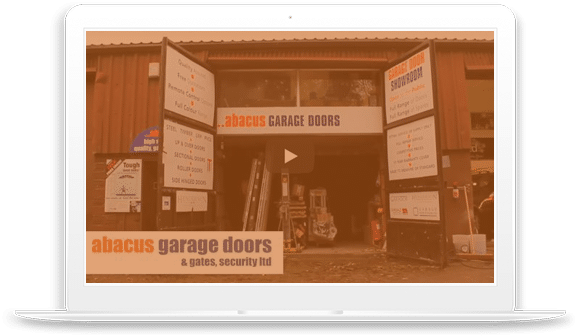 Established in 1998 Abacus Garage Doors is a local, family run business that specialises in a range of property and security entrance products that include garage doors, entrance doors, automatic gates and security products from design and installation. We offer an array of products for home and large commercial applications. 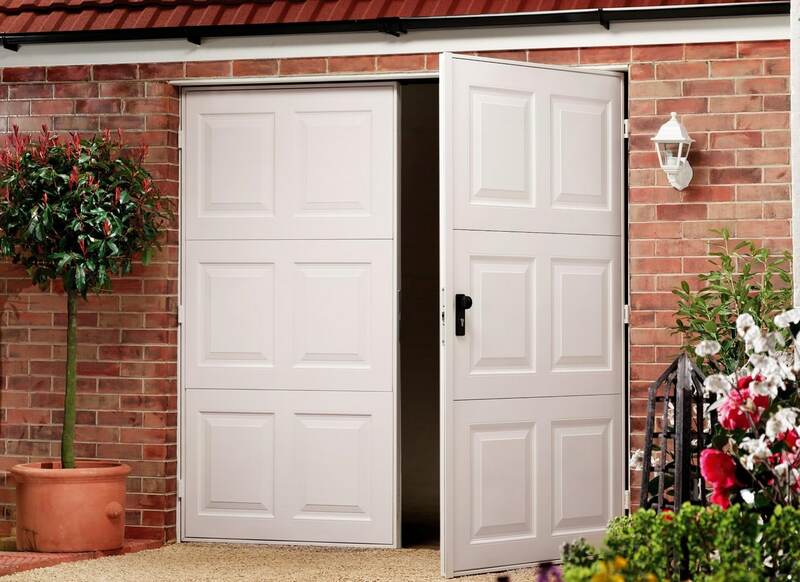 Up & Over doors are a safe solution for your garage door, they offer great value for money without compromising on quality- We offer a wide range of sizes and styles. The roller shutter garage doors consist of slats that can roll around itself at the top of the door opening, manufactured with aluminium. 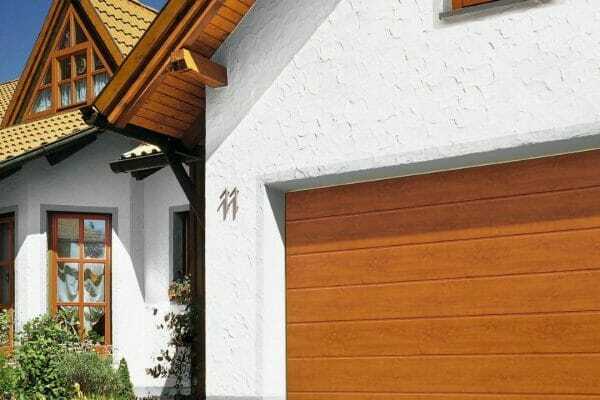 This type of garage door is very popular and we can offer many different styles to match your property. 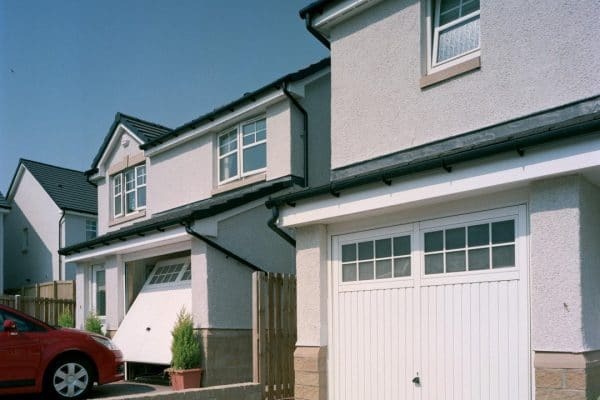 Sectional garage doors offer strength, safety and security due to being made of sections which allow the door to open vertically, this means they are also easy to install on almost all door shapes. 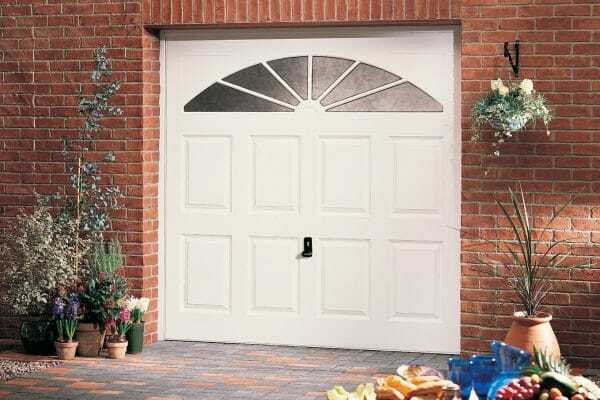 Side hinged garage doors open outwards and are manufactured with equal sized leaves, they combine a robust and reliable performance that allows for the most convenient personal access. Abacus Garage Doors has made a conscious effort to build relationships with a range of leading manufacturers in order to establish which offer the best products. Steering away from the short term financial incentives to favour a single brand. Abacus, garage door suppliers have instead opted for the longer term outlook with the ability to offer impartial advice on a wide range of quality products. Providing the customer with the correct product that best suits their needs and wants, giving total customer satisfaction and in return recommendations. Site surveys by experienced surveyors (not contractors) which are installed by our own trained engineers. Our installation team are spot checked by the leading manufacturers & also Checkatrade. Ensuring your installation is carried out to the highest standard. This maintains a reputation as a leading, local specialist covering a wide area. Thus reflecting Abacus Doors ability to offer longer and better warranties that give the consumer peace of mind. As experienced garage door suppliers, all of our customers can be assured of a prompt and reliable garage door installation service from our team of qualified fitters and office staff. All our fitters are fully trained by our manufacturers to ensure familiarity with the latest technology including electric garage doors and remote control doors. Please feel free to visit our showroom to see working examples of many of our most popular doors which are available in different colours and designs including manual and automatic, to help you make the right choice for your property. As well as providing high quality installation and maintenance for your garage door, Abacus are also able to supply numerous spare parts for garage doors that can be simply repaired. Some of the most common parts that degenerate due to wear and tear are the cones and cables, for which we are able to provide to almost every garage door. 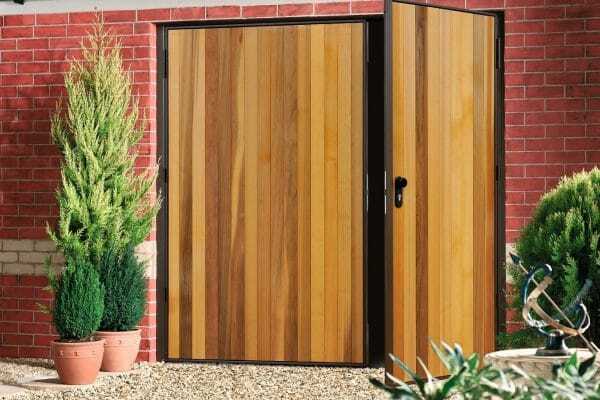 All of our garage doors are professionally fitted by our highly qualified fitters and we supply a wide range of garage doors including timber garage doors, roller garage doors, sectional garage doors, steel garage doors, side hinged garage doors, up and over garage doors and also garage doors finished in a number of materials. We can assist in choosing the best options for your property.